MOSCOW, July 21. /ITAR-TASS/. Russian air data records indicate that a Ukrainian Su-25 warplane might have been flying towards the Malaysia Airlines Boeing 777 passenger plane on the day when it crashed in eastern Ukraine on July 17, Lieutenant-General Andrei Kartapolov, head of the Main Operations Department of the Russian Army General Staff, said at a news conference on Monday, July 21. 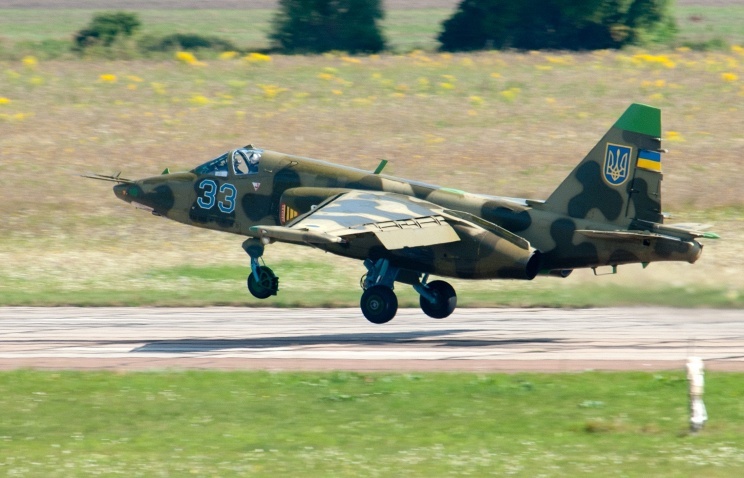 “Records show that the Ukrainian Air Force plane ascended to the distance of 3-5 km from the Malaysian Boeing,” he said. ----------- - “The question is why the system happened to be near the area controlled by militiamen shortly before the tragedy? Images of the area taken on July 18 show that the system was no longer there,” Kartapolov said. He also stressed that the intensity of Ukrainian Buk radar stations had increased before July 17. The Malaysia Airlines Boeing-777 passenger plane en route from Amsterdam to Kuala Lumpur crashed in the eastern Donetsk region of Ukraine.